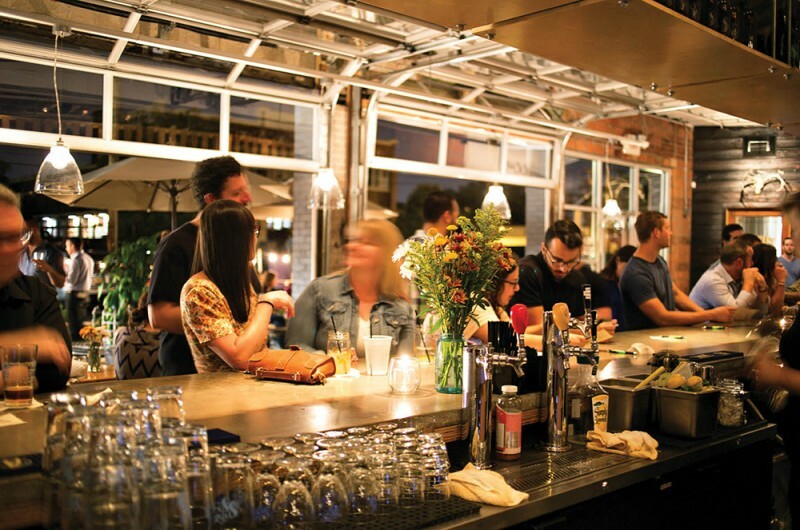 The Columbus brewing scene is booming. 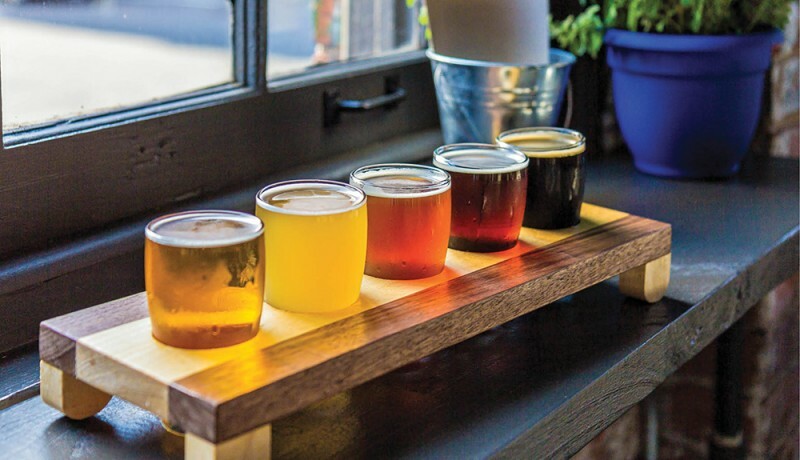 Last May, as part of Columbus Craft Beer Week, a group of beer boosters—primarily the Ohio Craft Brewers Association and Experience Columbus—launched the Columbus Ale Trail, an effort to promote area breweries. The trail is sort of a pub crawl writ large (we do not suggest hitting all—or even half—the stops in a single day), with something for every sort of hop-head out there. Volume one of the Ale Trail’s “brew book” lists 25 breweries in and around Columbus. Make a purchase at each spot and you get a stamp. Get four stamps and you’ve earned yourself a pint glass. The first 500 people to collect the 20 required breweries (chains Gordon Biersch and Hofbräuhaus don’t count, and three of the breweries don’t have taprooms) picked up a T-shirt, which you can still buy if you missed out. Next month, it starts all over again with the release of volume two. Five spots on the trail (six if you count Gordon Biersch) are within walking distance of the Greater Columbus Convention Center; these have been dubbed Brewer’s Row, and they make an excellent itinerary for an overnight trip. While we missed out on Elevator Brewing Company, started by a father-son brewing team in Marysville in 1999, we hit the other four spots. Each one offers something different, but they all have one thing in common: good beer. Nearly 100 years ago, the building that houses North High Brewing was a Ford dealership. The decor is heavy on architectural salvage, including a wall of post office boxes from a New Orleans post office destroyed by Hurricane Katrina. A 2014 expansion gave North High the space to refocus on their brew-on-premise program—you and a few friends can schedule an appointment with a brewer, choose a recipe, and make 15 gallons of beer to take home. 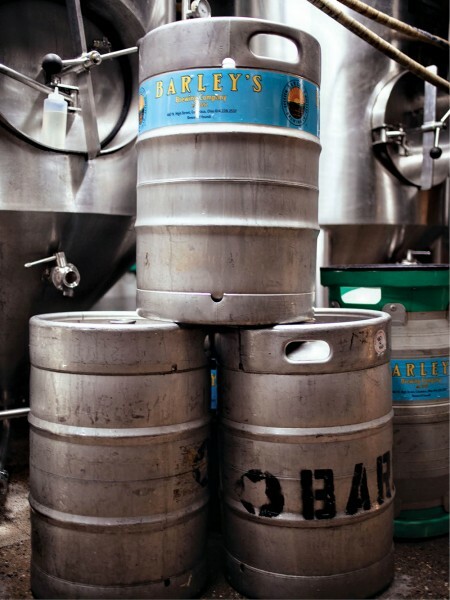 Kegs on kegs at Barley’s Brewing Company. Nearby, at Seventh Son Brewing Co., their two-wing building has production on the left and service on the right, plus an out-front patio where a rotating slate of food trucks pull up to tame your hungries. 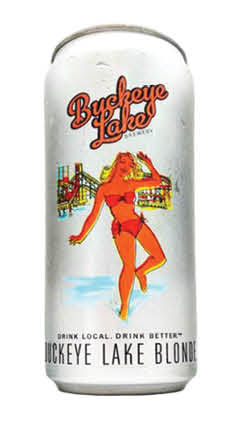 The brewery started life with a different name: When a trademark conflict arose, founders Collin Castore and Travis Spencer didn’t need to look far for a replacement. Their first beer, an American Strong Ale, took seven batches to perfect, so Seventh Son was born. If Cincinnati’s BarrelHouse, the microbrewery that lost its OTR home to the Art Academy in 2005, had survived, Cincinnati might have something similar to Barley’s Brewing Company. The O.G. of Columbus breweries, established in 1992, lies between the convention center and North Market. The u-shaped bar invites socializing over a pint, and they specialize in “real ales”—beer fermented without the use of external carbon dioxide that leaves some active yeast in the bottle. A flight at Wolf’s Ridge Brewing. Wolf’s Ridge Brewing puts a casual taproom at the back of a fine-dining restaurant (every server is a certified cicerone, a.k.a. a beer sommelier). The building started life as a Commerce truck dealership, with the showroom on the first level and the service area below—an arrangement that works just fine for brewing, too. When we visited, they were celebrating their first bottle releases: Clear Sky, a pre-Prohibition-style cream ale that’s heavy on the corn, and Driftwood, a session IPA that’s light but still spicy. As you might imagine, there are lots of hotels convenient to the convention center. We stayed at the Hilton Columbus Downtown, which is connected to the convention center by a skywalk. The 532-room hotel has an extensive art collection, super-luxe bedding, all the usual amenities (room service, spa, business center, pool), and a friendly staff. And it’s just a block away from North Market, which features more than 30 vendors who can hook you up with everything from popcorn (Pam’s Market Popcorn) to bread (Omega Artisan Baking) to ice cream (Jeni’s!). Damn the dam; go for the beer.